On your first visit an in-depth 30 minute complimentary consultation is carried out with one of our professional skin therapists. Your skincare concerns and current regime including vitamins and skincare will be discussed helping to form the basis of your bespoke treatment. This peptide packed facial helps to boost collagen, soften fine lines and tighten lax skin, resulting in a more youthful appearance. Ideal for mature or photo-damaged complexions. The treatment uses gentle soundwaves to drive a special nutrient packed serum deep into the lower layers of the skin. The formula contains a unique combination of three peptide complexes which work in synergy to give skin a plumper more radiant appearance. Voted the best treatment for Sensitive Skin by Harpers & Queen. A perfect antidote to a dry, dehydrated skin, this intensive treatment deeply hydrates while plumping and firming the skin. Based on Hyaluronic Acid, which holds 1000 times its own weight in water, it helps to reduce fine lines caused by dehydration and increases the plumpness of the dermis, resulting in moisturised, glowing skin. 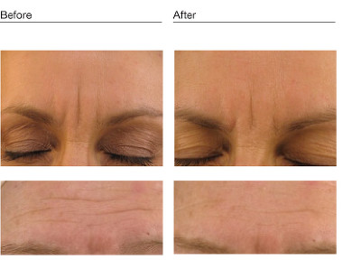 This highly effective treatment uses a special peta-peptide serum to target frown lines and achieve dramatic results. The unique combination of active ingredients is driven deep into the skin to soften lines and reduce muscle tension in the forehead helping to prevent new lines forming. The treatment targets the same chemical complexes as injectables without the associated risks.